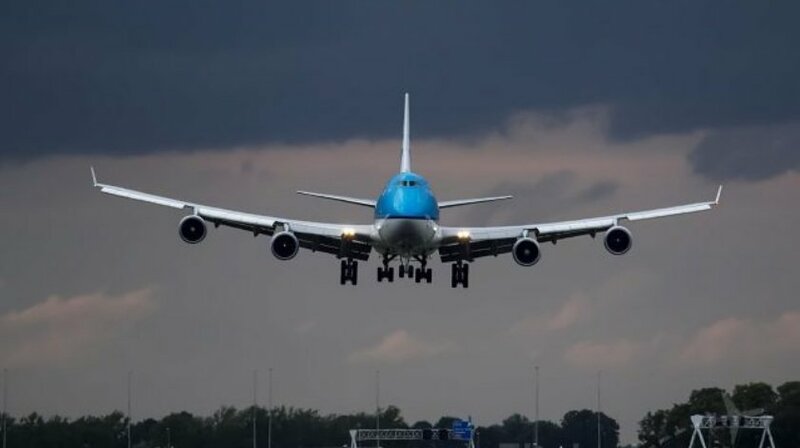 A KLM Boeing 747-400, registration PH-BFR performing flight KL-887 (dep Jun 3rd) from Amsterdam (Netherlands) to Hong Kong (China), was enroute at 8900 meters (FL291) about 30-40 minutes prior to landing in Hong Kong when the aircraft encountered severe turbulence for a couple of seconds causing passengers to be thrown against the cabin ceiling and then the floor. About 15 minutes later, already descending towards Hong Kong, the crew advised ATC of injuries on board and requested emergency services and medical staff to meet the aircraft upon arrival. The aircraft continued for a safe landing on Hong Kong’s runway 23R about 30-40 minutes later. A total of 9 people were medically assessed at the airport, 8 of them were taken to a hospital. Passengers reported the turbulence lasted 3-4 seconds, everything not secured properly was thrown against the ceiling and then against the floor. The fasten seat belt signs were not illuminated at the time and did not come on. The airline reported 6 passengers and 2 crew received minor injuries, 3 passengers and 2 crew were already discharged from hospital after checks. Local Authorities reported a 7th passenger was medically assessed and declined treatment/being taken to a hospital after examination. The occurrence aircraft remained on the ground in Hong Kong for 7 hours, then departed for the return flight with a delay of 4:20 hours.